I've made already 2 3D showcases for one very big restaurant group. 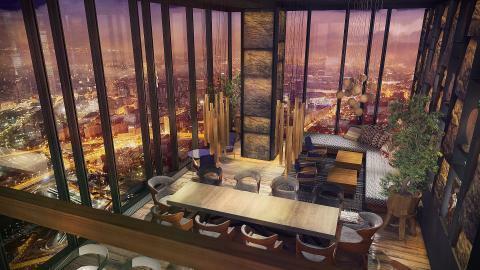 These 2 restaurants are located in skyscraper at height of 350m. In Aug Client opens another restaurant in the same location with some special format only: during a day it will be restaurant and during night it will be night club with different (5) thematic zones (see attached 3d pics of future restaurant). Client want to make incredible 3D tour with different trick/visual effects. He wants to have hostess on entrance with ipad connected to big TV screen and she will show 3D tour for guests and guests can choose which zone they wanna go. Each zone has it own entrance fee. So, 3D tour will be a direct sales tools. Client want this to be unique. I need help from you. 1. Which trick/visual effects we can do in matterport 3D showcase? Please demonstrate it with 3D showcase or printscreen if possible. 2. If you have ever used leap motion https://www.leapmotion.com/showcase ? 3. Is it possible to insert in 3D tour moving/dancing person or telling you something? I saw somewhere pano tour in one cloth shop and when you come close to changing room, suddenly from it girl came out and started to explain you what discounts they have this month. Can we do something similar in our mattrport 3D tours? 4. Can I do scanning if it will be some moving items in restaurant, sound-and-light show for example? 3D tour will be ok after processing? 5. Client asked is it possible to do like when you move in the area from one location to another the light will change for example. Thank you very much for your assistance and sharing experience. 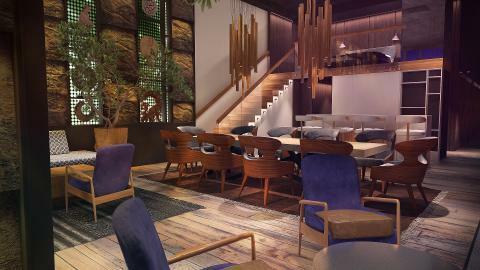 Client said it will be first restaurant-club in the world with what they want to do (he meant technological content).